Properties in Potemkin Stairs average 4.3 out of 5 stars. Property 3: Luxury Penthouse,Center,Beach,Sea view. Downtown luxury apartment. Pearl on a Black sea! Property 5: Downtown luxury apartment. Pearl on a Black sea! Luxurious studio apartment with a view directly to the cathedral! Property 9: Luxurious studio apartment with a view directly to the cathedral! 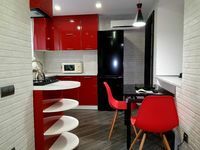 Property 16: 2-level studio in Odessa city centre. Apartment in the center of Odessa. 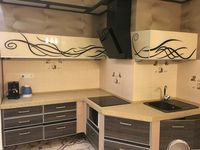 Property 21: Apartment in the center of Odessa. Luxurious room in apart-hotel in Odessa. Property 38: Luxurious room in apart-hotel in Odessa. Property 39: Pearl of Arcadia seaside in Odessa. Sea & Park two rooms apartment. Property 44: Sea & Park two rooms apartment. Apartments in historical centre. Odessa. Property 45: Apartments in historical centre. Odessa. We like, only one minus the bed sheets in the both bedroom doesn't able change for the all 8 nights, please leave some bed sheets exchange in the future. Thank you. Мы очень довольны местоположением (рядом с пляжем, продовольственный магазин в комплексе) и квартирой, которая была чистой, безопасной, просторной и уютной. Спасибо хозяйке, мы тепло рекомендуем!